Energy in, energy out. 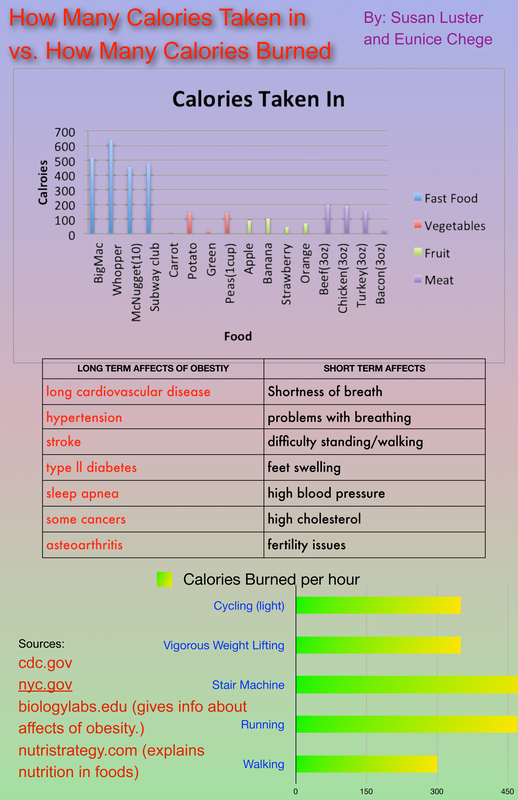 How many calories are in selected foods and how much activity needs to be done to burn those calories off? Susan Luster and Eunice Chege illustrate the comparison. This infographic was originally published at SciJourner.org.